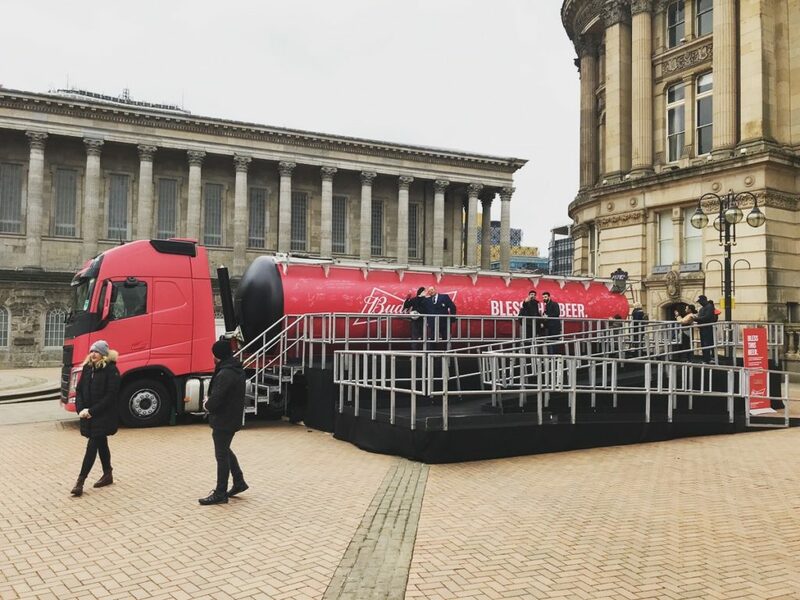 Budweiser’s ‘Bless this Beer’ campaign is on a nationwide tour of the UK’s major cities with a little help from On Event Production Co.
Last month, we helped launch the campaign (link to launch story) for the brewing giant by creating a huge custom-branded tank to hold the grain that Budweiser will use to create a special beer for this summer’s World Cup. The beermaker is an official sponsor of this Summer’s football extravaganza in Russia. It plans to create a limited-edition beer, the first bottle of which will be opened on the pitch – to ‘bless it’ – at the opening ceremony. Working with our good friends at Frukt, we were asked to create a vat containing the grain that will be used to brew the beer, which was signed by key Budweiser employees at a special launch event, before embarking on a nationwide tour. Along the way, football fans will be encouraged to sign and bless it before it makes its way to the brewery. Every fan’s signature will help to infuse the malt with supporter pride and passion, before it is brewed, bottled and ready for sale before the tournament’s big kick off in June. The tanker tour began at Wembley, the home of football, with ex-England captain Steven Gerrard giving it his blessing. It then called in at Birmingham and Manchester before stopping off at two of Budweiser’s UK breweries – Magor, in Caldicot, and Samlesbury, in Lancashire – where the beer will be expertly brewed and bottled. Anabelle Parslow, our Fabrication Project Manager, said: “Getting everything ready for launch was a huge challenge, but we were thrilled with the end results. 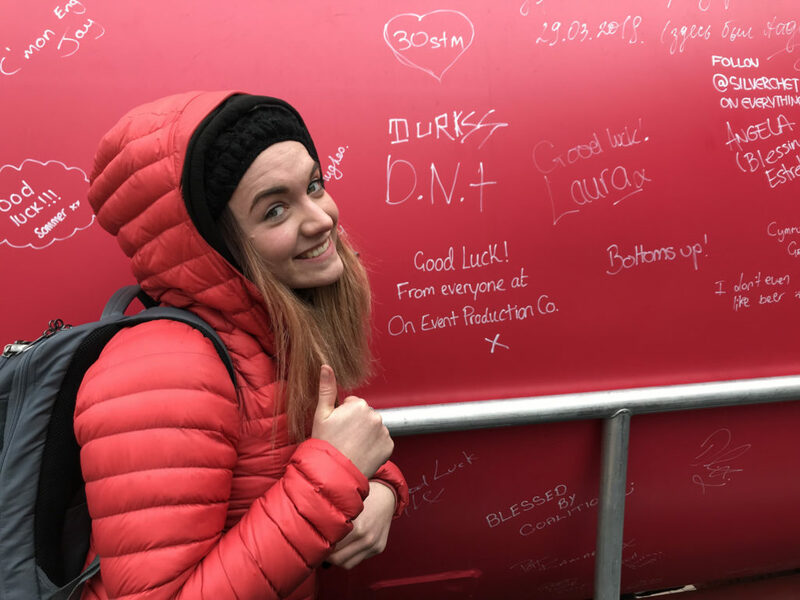 “It was great to see the tanker hit the road and give football fans from across the UK the chance to inject it with their pride and passion to bless it before it is brewed.